One fine day, an old couple around the age of 70 walks into a lawyer’s office. Apparently, they are there to file a divorce. Lawyer was very puzzled, after having a chat with them, he got their story…. 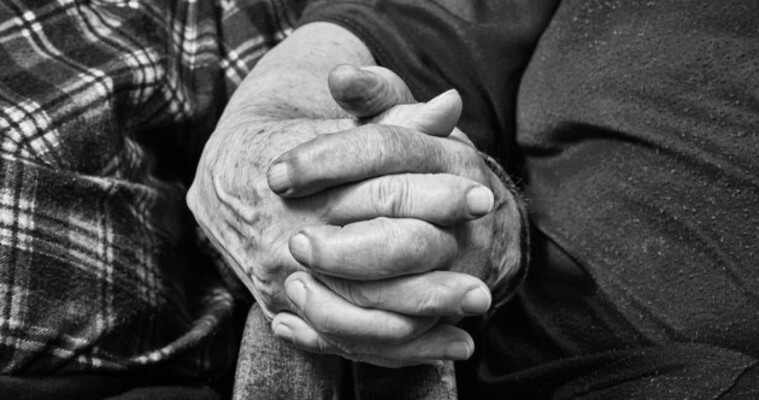 This couple had been quarreling throughout their 40 plus years of marriage. Nothing ever seems to go right. They hang on because of their children, afraid that it might affect their up-bringing. Now, all their children have already grown up, have their own family, there’s nothing else the old couple have to worry about. All they wanted is to lead their own life free from all these years of unhappiness from their marriage, so both agreed on a divorce…. 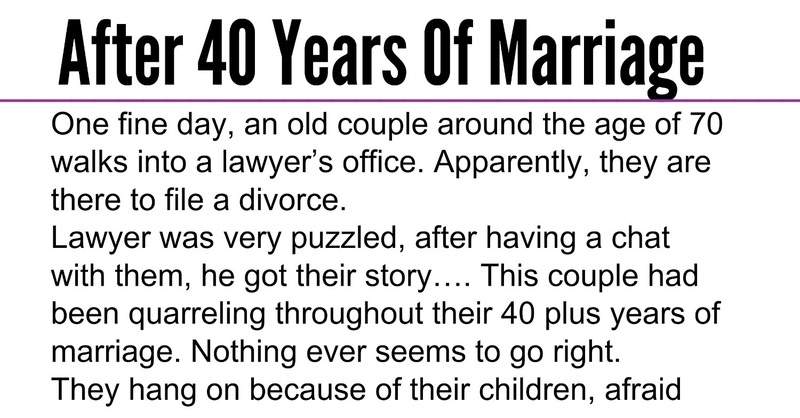 Lawyer was having a hard time trying to get the papers done, because he felt that after 40 years of marriage at the age of 70, he couldn’t understand why the old couple would still want a divorce..
As sad as she was, she have to clear his belongings. When she was looking through the drawers, she saw this insurance policy dated from the day they got married with the beneficiary being her. And together in those files, there was this note.